Summary: Researchers report the amount of effort needed to perform a task influences what we think we see. The amount of effort required to do something influences what we think we see, finds a new UCL study suggesting we’re biased towards perceiving anything challenging to be less appealing. 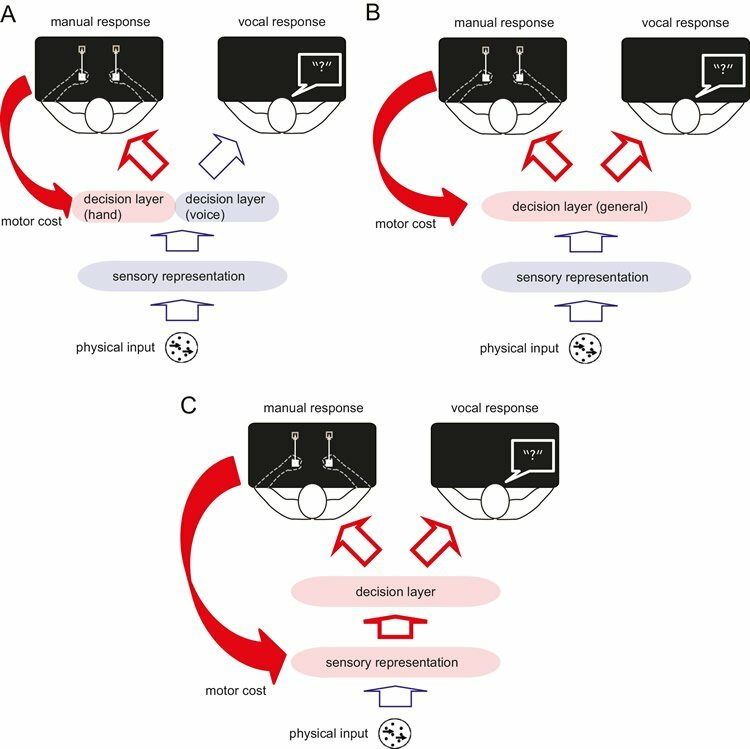 Schematic diagram illustrating the process of perceptual decision making, and the possible influence of the motor cost on the decision process. NeuroscienceNews.com image is credited to Diedrichsen et al./eLife. Funding: The study was performed under an international collaboration between UCL, NICT (Japan) and Western University (Canada). The researchers were funded by the European Research Council, the Japan Society for the Promotion of Science, and the James S. McDonnell Foundation. Image Source: NeuroscienceNews.com image is credited to Diedrichsen et al./eLife. University College London “Humans Are Hard Wired to Follow the Path of Least Resistance.” NeuroscienceNews. NeuroscienceNews, 21 February 2017. University College London “Humans Are Hard Wired to Follow the Path of Least Resistance.” http://neurosciencenews.com/path-of-least-resistance-6139/ (accessed February 21, 2017).